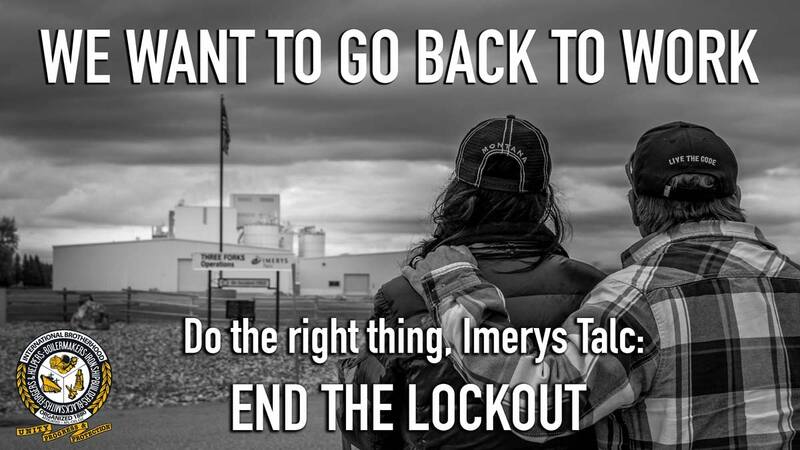 Update: After negotiations, Local D239 and Imerys Talc have reached an agreement to end the lockout. The members of Local D239 and the International Brotherhood of Boilermakers extend our gratitude to the many people and organizations—near and far—who supported Local D239 during the three-month lockout. We cannot thank you enough for your encouragement; donations of funds, food and supplies; emails and letters; time on the picket line with us; advocacy; and many other acts of kindness and solidarity. We are focused on the future, and we look forward to going back to work and doing what the workers from Local D239 have always done: work hard and produce the best possible product for Imerys’ customers. Randy Tocci grew up on a ranch just a few miles from the talc mill, now owned by Imerys Talc America in Three Forks, Montana. “I’ve lived here all my life. Born and raised right down the road,” he says, nodding beyond the railroad tracks toward rolling fields and the distant snow-capped mountains. 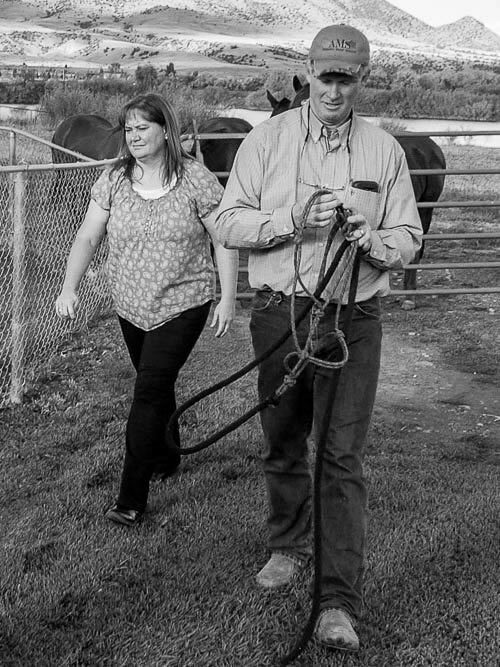 Living on a ranch taught Randy to work hard and set him up with a solid work ethic. So, when he started working for the mill in 1981, he did as he’d always done: He gave the job 100%. That, he says, is also the mindset of his co-workers, many of whom have also spent decades working for the mill. Randy, who is president of the Boilermakers union Local Lodge D239, is one of 35 workers locked out by Imerys since August 2. He’s one of 35 Montana households going without a paycheck or health insurance — now for over two months. Imerys locked the workers out after serving up “last, best and final” contract demands that gutted healthcare for new retirees, layoff recall rights and overtime policies, in addition to freezing the pension plan. Mediation has failed to produce results, with Imerys standing firm and refusing to negotiate on the contract cuts they originally proposed. And when the Boilermakers union International President requested a meeting with Imery’s highest officer at the company’s French headquarters to discuss the situation and how best to move forward, the request was denied with a statement that it does not get involved with matters at its regional operations. Says Randy: “If I had a chance to talk with the CEO in France, I would ask him: Why would you allow your North American counterparts to ruin a community and ruin a profitable business that makes over a million dollars a month profit for you? Why would you push these guys out the door who have committed their lives to this company and this plant? Why would you want to do that to these people? Ferguson and Carly Gammon were excited about the job opportunity that would move them from Kansas City, Kansas, back to Carly’s hometown near Three Forks, Montana. Carly’s father, Jeffrey Briggs, had tipped Ferguson off about a job at Imerys Talc mill where he’s worked for the past 18 years. When Ferguson got the job, the young couple was thrilled. They moved into the basement of Carly’s parents’ house to prepare to buy a home of their own — a home they would soon need, because they were expecting their first baby. Married just three years, everything seemed like it was a dream unfolding for the Gammons. And then Imerys locked Ferguson and his father-in-law Jeffrey from their jobs. With the Gammons, and Carly’s parents — plus Carly’s four younger siblings and soon to be a newborn — all living under one roof, that’s a lot of uncertainty and financial hardship for one family to endure. “It’s kind of nerve-wracking for me,” Ferguson adds, noting that with only Carly working and no employer-provided healthcare, money is tight. “I thought we were producing well, and we were making the company a lot of money. The guys there had incredible experience, and the work atmosphere was great. So I’ve been trying to figure out why. 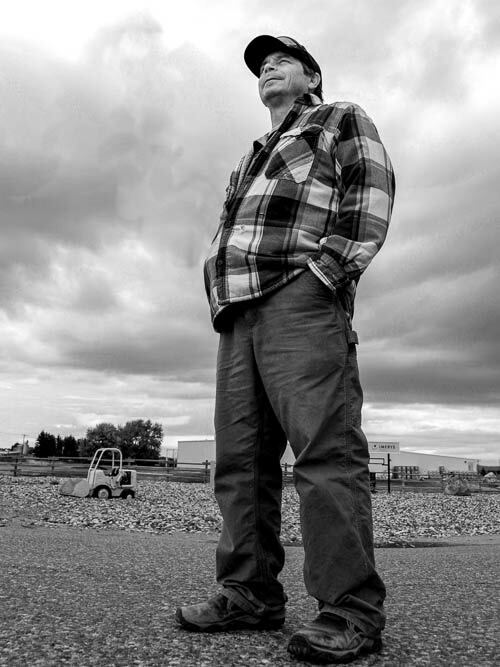 Jeffrey Briggs has worked for 18 years at the talc mill in Three Forks, Montana, now owned by Imerys. Things were going well for the father of five and his wife Stacy. Their oldest daughter and son-in-law, Carly and Ferguson Gammon, had recently moved in with them from Kansas City, Kansas, and were expecting their first baby. Ferguson had gotten a job at the talc mill with Jeffrey. And with the Briggs’ oldest son in college, another son enjoying his senior year of high school, and two daughters busy with activities, things were on balance for the Briggs family. Then Imerys locked out Jeffrey and Ferguson. That was over 50 days ago. Jeffrey says the first time he met the current Imerys plant manager a little over a year ago, the new manager showed photos of his family. 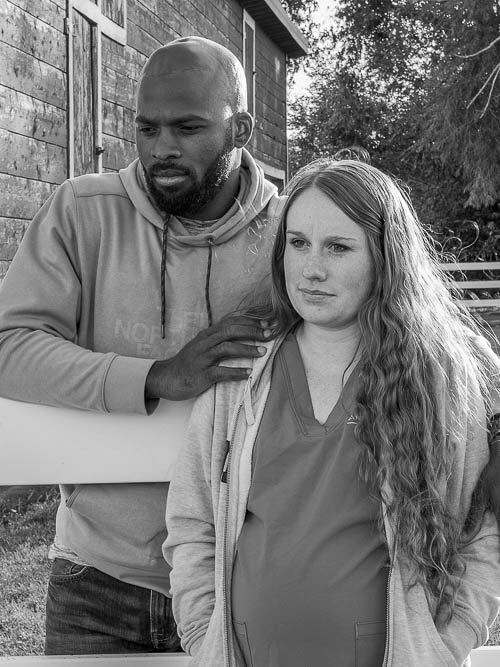 Jeffrey’s wife Stacy is especially worried about her daughter and son-in-law. To make ends meet for the family of eight — soon to be nine — all living in one household, Jeffrey is taking on side jobs and selling extra hay he put up over the summer. “The uncertainty is the hardest thing about this lockout,” Stacy says. “The hardest thing for me, along with the uncertainty,” says Jeff, “is that the company’s not willing to even meet us in the middle. We go to negotiations, and there’s no negotiating. It’s their way, or no way. “We’ve worked hard to make the company profitable and to take care of their customers. “If I could say one thing to Imerys it would be this: Come back to the bargaining table and do it in good faith. The union doesn’t expect to get everything, but we want to meet in the middle somewhere so that both parties are happy. Use your social media power. Use #StandWithThreeForks to aggregate posts showing support for L-D239 and denouncing Imerys (tag Imerys as @Imerys) Follow @boilermakers.union on Facebook and @boilermakernews on Twitter, and share news about L-D239 as it develops. Literally stand with L-D239. Visit Three Forks and pick up a picket sign to rally with the workers. Watch and share this short :30 video. Add your name and show Imerys Talc that you #StandWithThreeForks and the workers they locked out! Your name was added to the petition! We Stand with Three Forks! WATCH FOR MORE OPPORTUNITIES TO LEARN ABOUT HOW YOUR BOILERMAKERS UNION WORKS FOR YOU! That’s what Imerys wants its shareholders and customers to believe. But at its talc plant in Three Forks, Montana, Imerys is proving just the opposite of what it claims. On August 2, the company escorted 35 plant workers (members of Boilermakers Local D239) from the facility and locked them out. Why? Because those workers dared to stand up for the benefits they negotiated in good faith with previous plant owners. With the workers’ contract expiring, Imerys went after their benefits and working conditions. Benefits and working conditions workers at the mill have counted on for years, some for decades. Imerys said they were “negotiating,” but they simply served up the same demands, over and over again. All the workers wanted was to keep the benefits and working conditions already in place. And that’s still all they want. Over the past year, Imerys has grossed $5.28 billion in revenue and pulled in $462 million in net profit. Why go after the livelihoods of these 35 American workers? Is it because the company wants even more profit? Is it because this Paris-based multinational doesn’t care what happens to American workers? Is it because they think no will notice what happens in a small town in rural Montana? Imerys’ claim of caring about other countries and communities does not match the facts. Imerys is ruining lives in Three Forks and tearing apart the community.